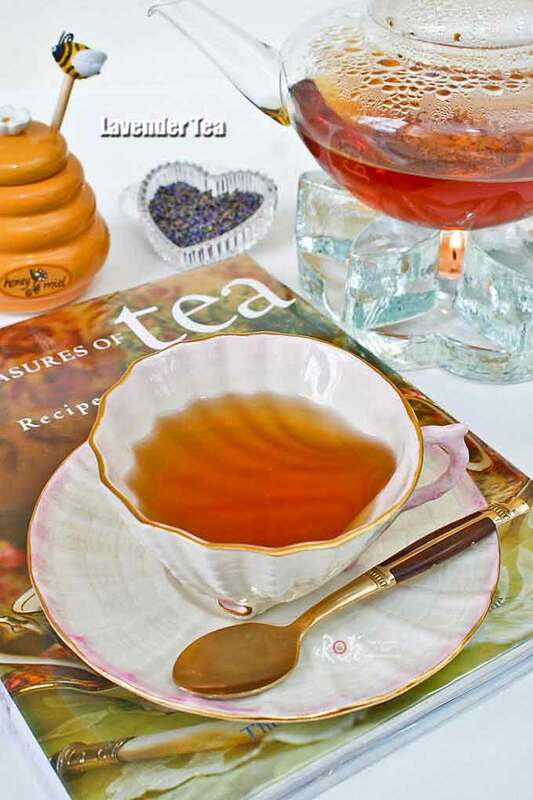 Relax and unwind at the end of a long day with this home blended, fragrant, and soothing Lavender Tea. Also delicious as an afternoon tea. Lavender is soothing and calming. Combined with tea, it is a real treat for the senses. This delicious and fragrant tea was adapted from The Pleasures of Tea and is a perfect taken with these Lavender Almond Cookies. Warm up the teapot by pouring in boiling water until half full. Set aside for 3 to 4 minutes. Discard the water. Gently crush lavender to release fragrance. Put into tea infuser together with tea leaves. Place infuser into teapot. Pour in boiling water and let steep for 3 to 4 minutes. Remove infuser and serve tea with honey on the side. 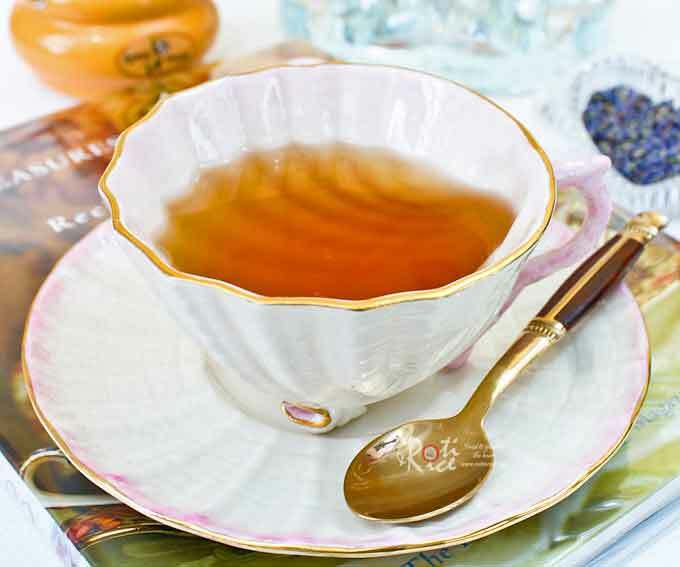 **English teacups have a capacity of about 5 to 6 oz while American teacups can hold up to 7 or 8 oz. A tea warmer or tea cozy is a perfect companion to the teapot in colder weather. It adds to the cozy feeling while keeping the tea warm for a longer period of time. This tea warmer uses a standard tea light which burns for about 4 hours. This is one of several fully reversible tea cozies I made during my pre-blogging days. If you wish to see more of my tea cozies, please hop over to my other blog, Tea Tattler. There’s nothing like a cup of your favourite tea for any kind of weather! I love tea! 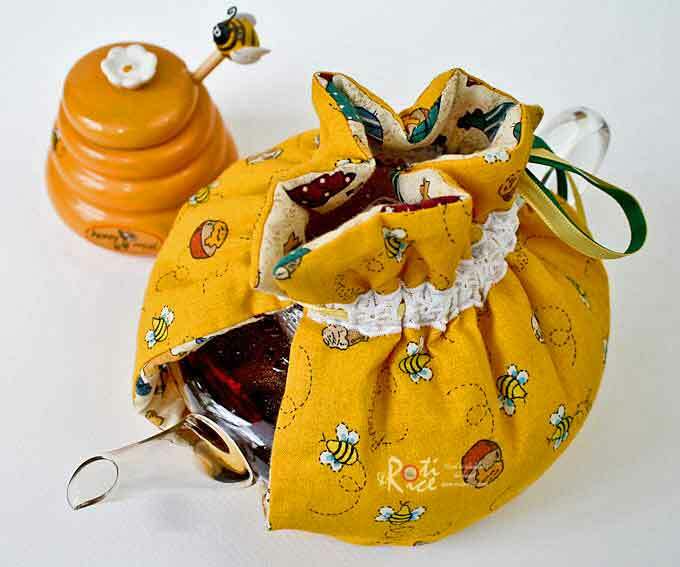 Your tea cozy looks lovely, I couldn’t help noticing the bee picture on the cozy and the beehive container with the spoon! Really cute and charming! Another rainy day – so this would be perfect. I love your tee cozy! This tea must be very fragrance, love your cute tea warmer. I love tea, and got a new tea pot. I love the way you made yours. I love your tea cozy too. This lavender tea sounds so refreshing! Biren, I’ve never tried lavender tea before. I put it in macarons, financiers, chocolate cake but never thought about putting it in tea! This sounds just wonderful. Beautiful photos! It’s been a SUPER wet spring here (pretty warm though)… I am drinking peppermint tea and … wearing lavender oil! I wish I had a cup of your tea! 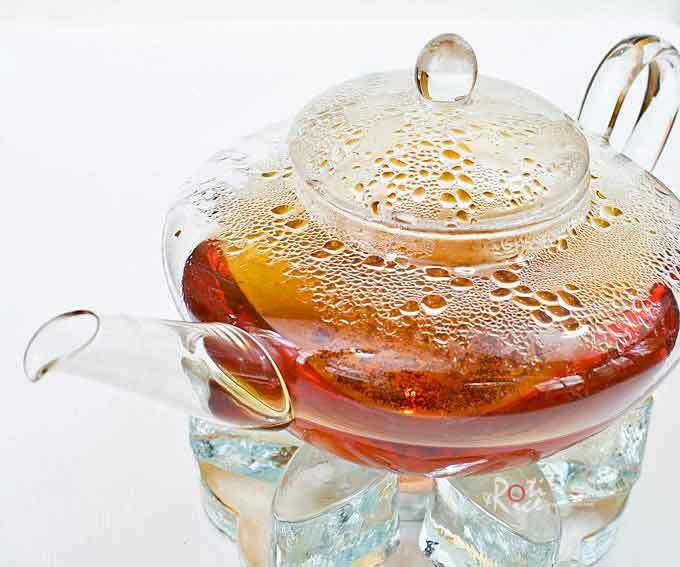 What a very comforting tea and wonderful tea warmer & cozy, Biren! Hope you’re enjoying your weekend! I love tea, but usually just oolong and puer teas…should try to drink more flora tea. I have some lavender with me, I can try to make this when I get the chance. I know what you mean – it’s going to rain for the next week here! I can’t think of anything better than to curl up with a cup of tea! Lavender is one that I never had. This tea sounds so fragrant Biren! I just went to a tea infused dessert workshop and I can think of so many things this would go great with! Wow…a tea infused dessert workshop sounds like fun! I would love to attend such a workshop. We have been having our share of cold, damp weather here too…and this frangrant tea sounds perfect! And I love your pretty teacup, Biren! That’s a Belleek cup and saucer and I absolutely adore it too. 🙂 Looking forward to your Tea Week. I will email you when I think of something. Hi Biren! Lavender tea sounds so nice, especially before going to bed. And a couple of comments on non-food stuff… I LOVE your teapot and the candle thing on the bottom (how you call this?). Absolutely in love. And…will you do a giveaway of your handmade tea cover thing??? LOL. They are so cute and I can’t believe (well actually I CAN believe) you made this. You are totally multi-talented! I’ve been seen at tea houses but now I’m on a mission to find a cute one for my tea pot! Nami, lavender tea is very calming and soothing and is good tea for the evening. 🙂 That stand with tea light is a tea warmer. It is very pretty in the evenings because the light from the candle will extend through the point of each of those petals. I should have taken a picture of it at night so that you can see what I mean. As for the tea cozy, do stay tuned….. I have some lavender in my cupboard too, I used some in my Herbs de Provence recipe. This is a good idea for tea. Thanks!! Thanks Lyndsey! Sewing is my other hobby. 🙂 Yes, food blogging does take up a lot of time and energy. Apart from the writing, there is the cooking and of course the photography. Although I only do 3 posts a week, I feel like I am constantly working on my posts. and look at your food photos plus nice decoration of the food. It really inspire me to cook more. I will be trying this very soon. I’ve had lavender tea in a sachet before and really enjoyed the taste. Your shots are beautiful with great composition, not to mention the wonderful tea cozy among other things.